Pride of ownership shows in this 1900 sq. ft., 4 bedroom, 2 bath home in Lake Crest Addition. 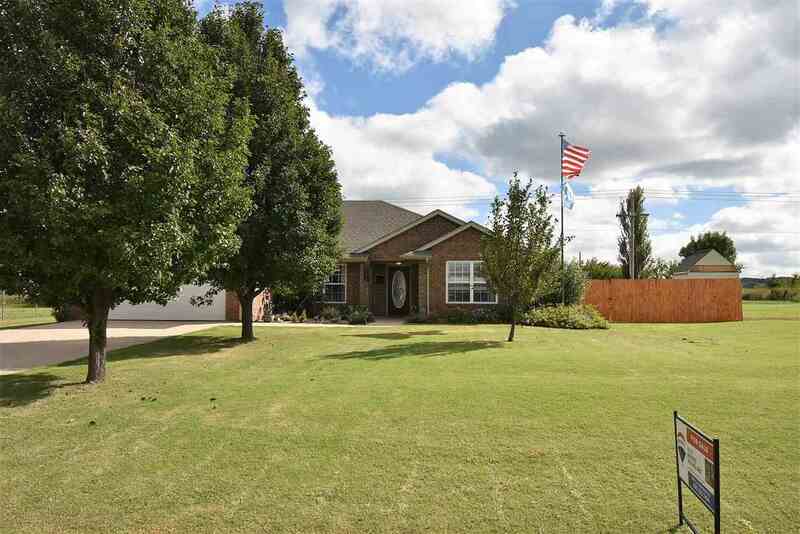 Located in desirable Elgin School District and conveniently close to Lake Lawtonka and Lawton/Fort Sill. This affordable home has an open floor plan with laminate flooring throughout except tile flooring in the utility, kitchen and baths, and carpet in the bedrooms for easy clean up. Spacious separate dining room and large kitchen are great for entertaining. Kitchen features oak cabinetry, large breakfast bar, new appliances, and tons of counter space for meal prep. Natural gas furnace and hot water heater for energy savings. In the backyard is a partially new privacy fence, storage shed, and above ground pool that is 4 years old and 4 ft. deep. Septic pump and aerator were replaced 2-3 years ago. Hot tub stays with accepted offer. Established yard and landscaping are a plus. Security system is monitored thru Guardian. Seller will give Buyer $2500 carpet allowance with accepted offer. Dining Room Size: 11&apos;11" X 10&apos;11"
Kitchen Size: 17&apos;4" X 11&apos;2"
Living Room Size: 20&apos;9" X 16&apos;4"
Master Bedroom Size: 14&apos;9" X 11&apos;8"
Utility Room Size: 8&apos;7" X 6&apos;7"